Angels wings evoke several concepts and emotions: inspiration, freedom, expansion, artistic and religious expression, beauty, a sense of lightness and airiness, dreams, and eternity. Wings also symbolize protection, peace, enlightenment, and guidance. Do angelic wings inspire you? 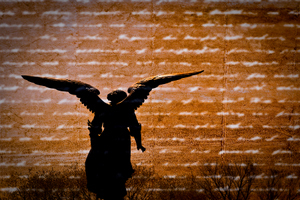 Then check the angel wing mini-gallery shown below. If you love the arts, you already know that wings have inspired artists through different periods in history. 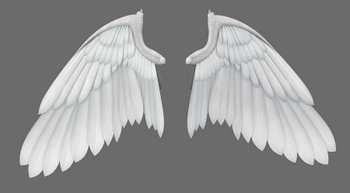 If you enjoy drawing angelic wings, you may find the pictures below to be fairly good models. 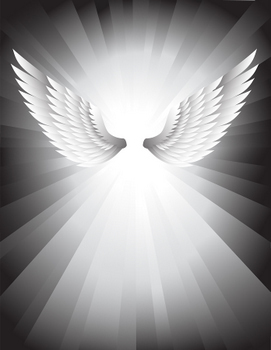 Drawings of angel wings - Find here more illustrations of angelic wings. Angel wings - This page brings your more wings of angels and a bit of fun information. The following is a small collection of angel wing pictures.